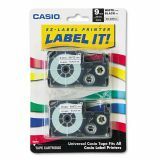 Casio Tape Cassettes for KL Label Makers, 9mm x 26ft, Black on White, 2/Pack - Tape cassettes for EZ-Label Printers offer fast-printing, professional-looking labels. 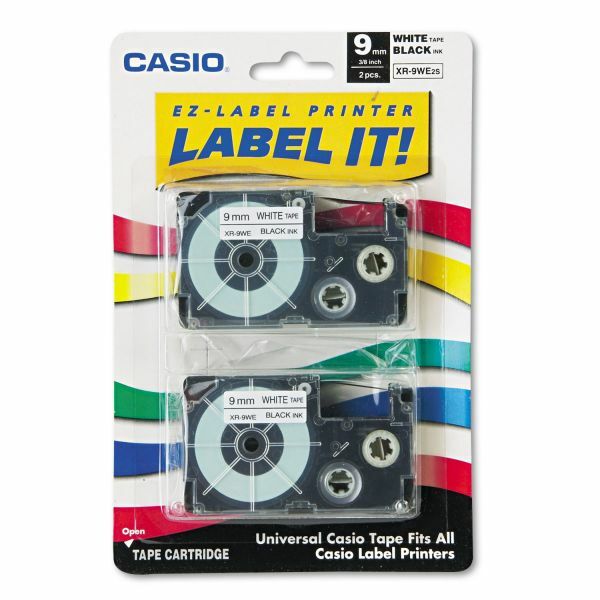 Tape cassettes are designed for use with all EZ-Label printers. Made from at least 50 percent post-consumer material.